The US is set to build two new — and significant — offshore wind farms. Middelgrunden offshore wind farm, Denmark. Image credits Kim Hansen / Flickr. The states of Massachusetts and Rhode Island have both awarded major offshore wind contracts this Wednesday, a testament to the economic shifts that are making this renewable source of energy too attractive to ignore any longer. The two farms will have capacities of 800MW and 400MW, respectively. The Massachusetts installation — christened “Vineyard Wind” — will be constructed in state waters some 14 miles (22.5 km) off of Martha’s Vineyard and is planned to be ready surprisingly fast: the farm is earmarked to start feeding the grid as soon as 2021, reports Green Tech Media. The two companies who won the contract — Avangrid Renewables and Copenhagen Infrastructure Partners, both based in Europe — will share ownership of the project equally. The two will begin negotiations for transmission services and power purchase agreements shortly, according to a joint press release. Vineyard Wind comes as part of Massachusetts’ recently-approved goal of building 1.6GW of wind energy by 2027 — and should cover half of that pledged capacity. Overall, it’s expected to reduce the state’s carbon emissions by over 1.6 million tons per year, roughly equivalent to the exhaust of 325,000 cars. The project is likely to propel further offshore wind development in the area, similarly to what we’ve seen happen in Europe. The port of New Bedford has already been retrofitted to handle the immense load of traffic and infrastructure that development of Vineyard Wind will require, notes the New York Times — which is likely to make further development even more attractive and convenient. The second contract, awarded by Rhode Island to Deepwater Wind, aims to provide 400MW capacity — although not on such short notice. Construction on the farm, called Revolution Wind, could begin “as soon as 2020” writes Megan Geuss of ArsTechnica, citing a company spokesperson. 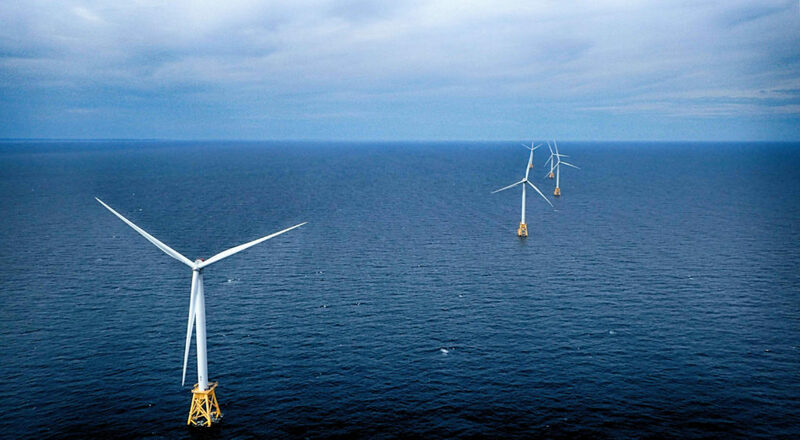 Deepwater Wind is an US-based firm that has previously collaborated with the state of Rhode Island to built the first offshore wind in the US: the 30MW unit off the coast of Block Island. The added capacity from this farm will help Rhode Island to reach 1GW of renewable energy by 2020, a goal that state Gov. Gina Raimondo recently called for. Deepwater Wind will also need to start power purchase negotiations and get federal regulatory approval before construction can begin. Revolution Wind, like Vineyard Wind, will be built in state waters. Aerial view of the Block Island offshore wind farm. 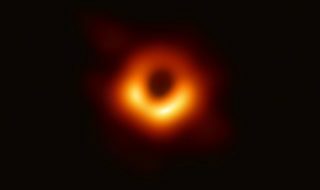 Image credits Ionna22 / Wikimedia. Judging by what happened in Europe, however, both Massachusetts and Rhode Island stand a lot to gain in the long term from these offshore wind developments. Europe currently hosts roughly 15.7GW of offshore wind, and the experienced energy companies have gleaned here has consistently knocked down installation costs — which made the tech is so attractive even in the US. Similarly, the early experience and logistical base these two states will gain could provide them with a decisive edge in further offshore developments in the US — which are bound to pop up as installation costs drop. For example, the Department of the Interior recently opened 390,000 acres of federally-controlled waters off the coast of Massachusetts for offshore wind. New Bedford is ideally suited to provide shipping and support for developments here without any further investments — so Massachusetts will surely stand to benefit as more actors join the US offshore wind market. And more are joining already — the state of New Jersey is also eager to plug its grind into offshore wind farms, with Governor Phil Murphy signing into law a commitment to 3,500 MW, the largest state offshore wind policy to date, on Wednesday, as well. 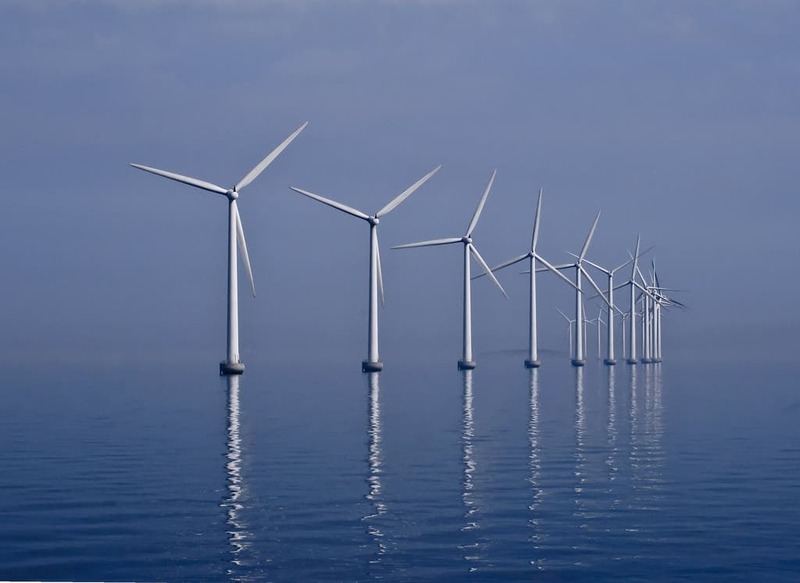 The Union of Concerned Scientists applauds the developments-to-be, writing that these will likely spur states such as Connecticut, New York, Maryland, or Virginia into dipping their toes in offshore wind. But it’s not just about what states gain. We’ve written before about the benefits renewables bring to local communities. These range from jobs (here and here), air quality improvements, reductions in carbon emissions, and a lower energy bill once the projects are up and running. All good things, I’m sure you’ll agree.